Maruti Suzuki announced recently that it has increased production of the Maruti Suzuki Vitara Brezza compact SUV. Since its launch in 2016, the SUV's waiting periods had stretched up to two months at times. The company manufactured 94,000 units of the Vitara Brezza between April and October 2018. This is a 10% increase as compared to the same period last year. Consequently, waiting periods have now dropped to four to six weeks. The SUV is manufactured at Maruti Suzuki's facility in Sanand. The Vitara Brezza is offered with a single diesel engine option. The 1.3 litre Fiat-sourced motor puts out 90PS and 200 Nm. This is mated to a five-speed manual or an AMT. Prices start at Rs 7.26 lakh. 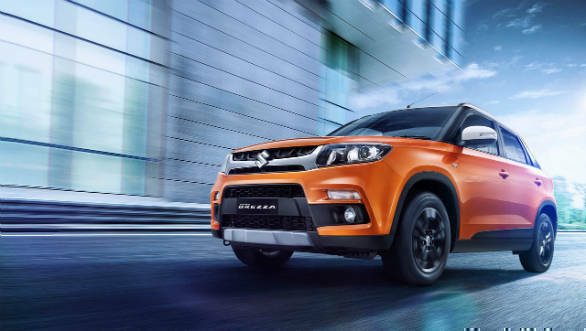 Maruti Suzuki's senior executive director for marketing and sales commented on this development by saying, that the high demand for their popular models such as the Vitara Brezza is a testimony of their best in class technology, design and customer experience. With the Suzuki motor Gujarat plant operational at its full capacity of 2.5 lakh units annually in Gujarat, they are able to increase the output. They are also confident that with the reduced waiting period, they will be able to enhance the car buying and ownership experience for customers.